I have said before ‘it’s a funny old business how we get a run on slides, negatives, medium format, 110’s or video’. This month has seen a run on VHS and Hi-8 tapes (the past 3 months we have been given lots of standard 8mm to digitise), several customers from different parts of the country and some locals too! The subject matter has varied from a professional shoot to some very early vhs home movie but from our point of view the treatment is the same. So what do we do? – well that is what this article is about! Once the tape is received we visually check the condition. Tapes that have been kept in even slightly damp conditions often have white mould growing, it can affect the tape – but not always. The next step is to wind the tape to the end and then back to the start, this ensures that the tape is free running. In the batch of Hi-8 tapes we encountered a problem that was new to us. One tape was broken, we attempted to repair the tape but found it kept disintegrating. In the end we had to give up on that particular one, not something we do lightly. Moving on the next step is the video capture. The tape is played through our deck and the signal is passed through a capture device. We use Matrox and Pinnacle hardware and software solutions at this stage. The aim is to capture an MP4 file that we can then edit. The files are saved on our working desktop and to a local backup server. Okay so far so good. At this point we have an MP4 file which we can edit in Final Cut. This is a professional editing program and we use it because I find it easier than some of the others, because it delivers excellent results and because I find it easy to train staff with this package. The editing process varies depending on the tape. We try to remove the bad bits where there is a lot of ‘snow’ or noise, and to make a coherent movie. This really does vary from tape to tape. We have just returned one tape to a customer where I had to make a decision on the introductory section to a wedding movie. Although it was not essential to the wedding it did set the tone and so I left it in, the problem was it was affected quite badly by noise. In the end I told my customer what I thought and told him to come back if he wanted me to chop it out. And so the final edited movie is committed to usb, and less often these days to DVD. We post the footage back to our client and ensure that they are happy before we return the original. We ask the customer to review the footage and ensure that they are happy – just as we doo with all of our scanning products. Once happiness is confirmed we return the originals. There it is in a nutshell. We do not just copy your video straight to dvd or usb. We examine it, we restore it when necessary and possible, we capture and edit and then transfer on to a digital media. The hope is that you will have a coherent clean and future proof product to enjoy now and to share and pass on. Before I close I’d like to thank Brian Andrew Hippsley for his help with a recent video project. 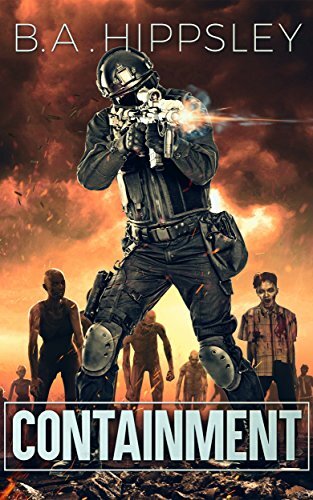 Brian, apart from being a close and dear friend, is the author of ‘Containment’ , a zombie novel which I have reviewed on Amazon and recommend if you are a fan of the genre. Brian published the book earlier last year and it is a jolly good read. Brian and I were working together producing a video on the publication of the book at Swansea University. During our conversations it transpired that he had a particular video camera at home in a cupboard. By chance he had a video recorder with a specific format that enabled me to rescue some personal hi-8 tape I had feared lost. Funny how things turn out isn’t it.